Booking a ferry to Gran Canaria is simple, easy and safe with AFerry, just use the booking form above to get a price. The most popular route is Santa Cruz de Tenerife to Agaete. The average price this month for this route is £38.50 for a car and two people each way. 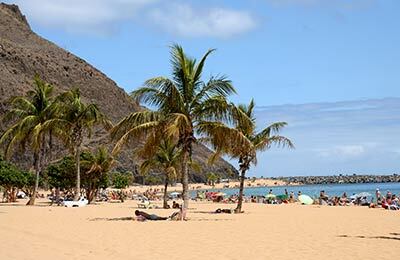 Gran Canaria is one of the Canary Islands found just off the coast of Africa. It has beautiful weather all year round, rarely going under 20 degrees Celsius. From a selection of water sports and beautiful beaches and sand dunes, to lovely towns to have a stroll around, museums and a choice of excursions around the island to choose from, there is something for everyone to enjoy. Gran Canaria is part of the Canary archipelago, and accounts for 40% of the Canary Islands population. Gran Canaria is only 93 miles off the coast of Africa, and offers its occupants and visitors beautifully warm weather all year round. Like all the Canary Islands, Gran Caneria is of volcanic origin giving the island a unique appearance. Nearly half of Gran Canaria is under protection, such as the Dunas de Maspalomas. Here you will find a spectacular view and gorgeous beaches. Gran Canaria hosts a generous choice of activities. 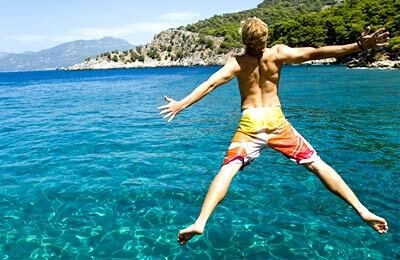 For those looking for sports and adventure, you will find a range of water sports including surfing, windsurfing, kite-surfing and diving, and for those looking to relax there are plenty of beaches, bars and restaurants. Dolphin tours are also widely available and exciting trip for all ages. Gran Canaria offers some fantastic sites. The island is a hot spot for viewing star gazing due to a cloud phenomenon (known as the "Donkey's Belly") which draws in clouds to a maximum altitude of 500m above sea level which protects the sky from city lights. The Canary Botanical Garden offers a lovely day out. The rest of the island can often appear quite dry, but at the Botanical Garden you will be able to see an array of stunning flowers and vegetation. The Island is interconnected with Spain and the rest of islands, with direct ferries to Tenerife, Lanzarote and La Palma. 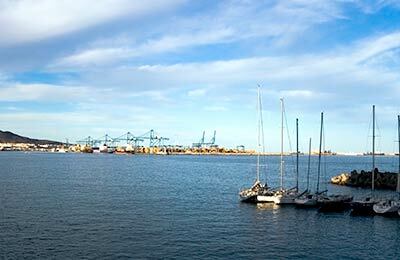 Gran Canaria's ports are Agaete and Las Palmas de Gran Canaria.